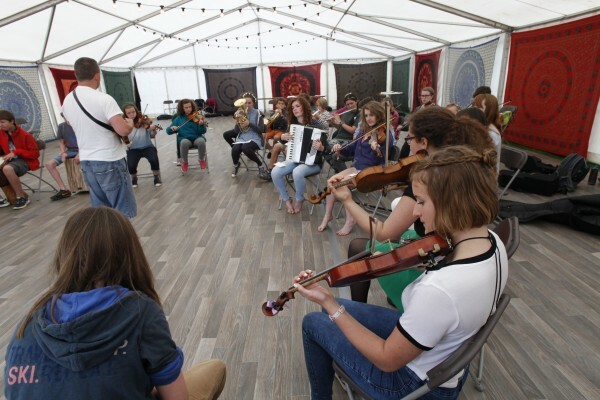 We have lots of different venues at the festival where you can enjoy music, dance and take part in workshops. 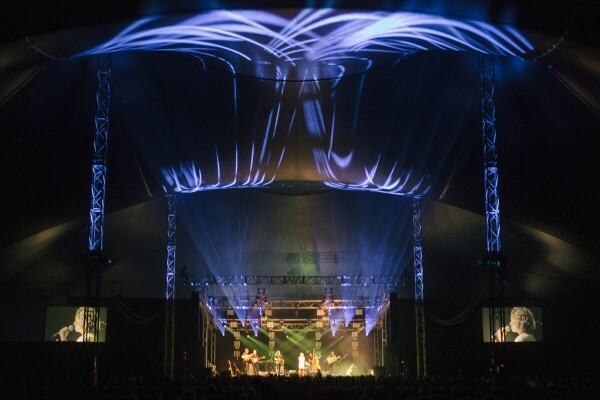 Our main stage marquee is a beautiful sight to behold! 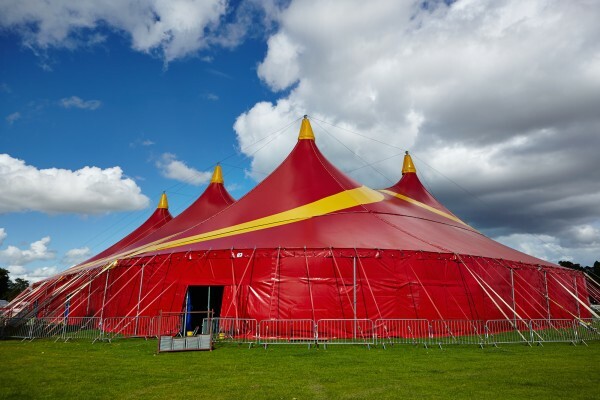 As the centre piece of the festival site, this red and yellow beauty is as impressive inside as she is outside. We seat around 2,500 inside with a standing ‘mosh pit’ at the front of the stage that can take another 1,000 people. The stage is carefully planned to offer the best sight lines and there are two big screens on either side of the stage to watch all the action close up. There’s plenty of room to move around inside and the dark interior makes for a great light show! 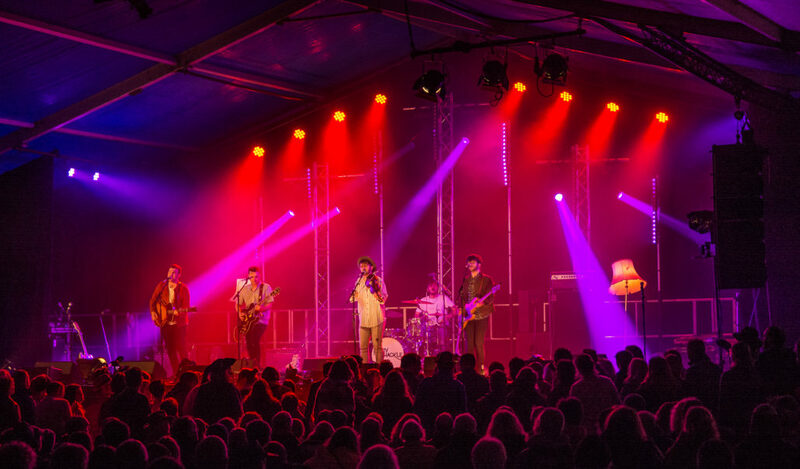 We are working on a modified and remodelled audio system within the marquee for 2016 to give the best possible experience for festival goers. Our second stage in size only (not importance! ), you’ll find the blue and white marquee on the far side of the showground. Seating around 1,800 with room for another 300 people standing, it’s a lovely venue where you’ll see headliners play. It’s the home of the Folk Slam, which has become a Monday finale institution at Shrewsbury! 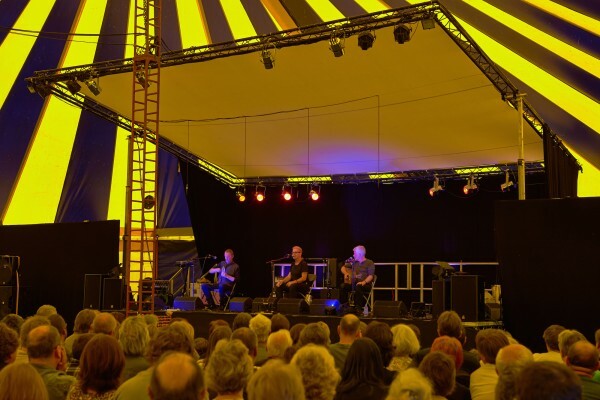 Named after the goddess of the river that flows alongside the festival site, the blue and yellow Sabrina marquee is the home of traditional folk and emerging artists. It has a capacity of around 800 people seated with another 200 standing. 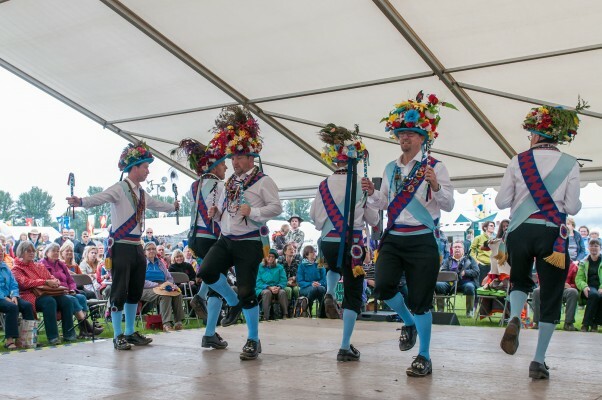 The Village Stage is our only outdoor venue and is where you’ll be able to watch everything from dance displays, children’s show and music. 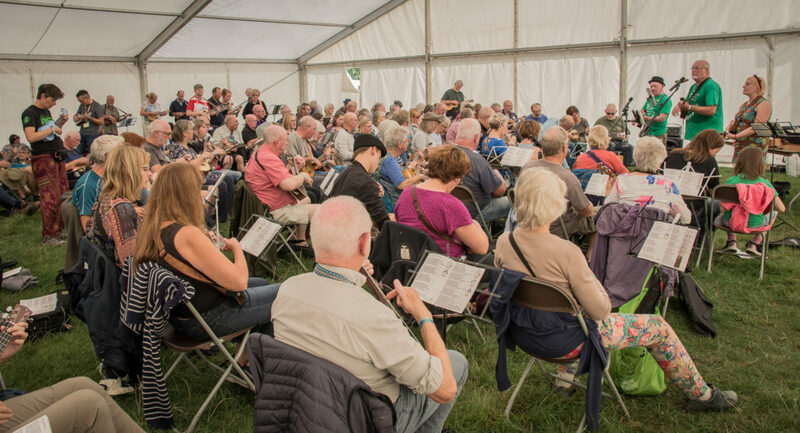 It’s located in the heart of our craft fair and close to the children’s festival, making it a great place to sit down, relax and enjoy what’s on stage. Our dance tent is beloved by experienced dancers and newbies alike. Tucked away at the top end of the site, it’s well worth a visit to take part in one of the programmed ceilidhs or to watch a dance show. With a cassette floor and special surface to make it ideal for dancing, along with its own bar, there’s no reason to leave! It’s also home to our very popular dance workshops and our early morning yoga sessions. The Reef is home to Refolkus, our programme for 11 to 20-year-olds. At any given time, it’ll be alive with the sound of music, drumming, dancing or one of the other multitude of activities that go on there. Located near the main entrance, it acts as our ticket office on the opening day of the festival. Pandemonium! forms the heart of our children’s activity area and is home to the wide variety of activities that go on as part of the packed programme. From crafts to story time, singing and dancing, Pandemonium! is always buzzing. The Pandemonium! base is located at one end of the craft village, making it a very central location for parents and kids alike. The circus tent sits next to Pandemonium! 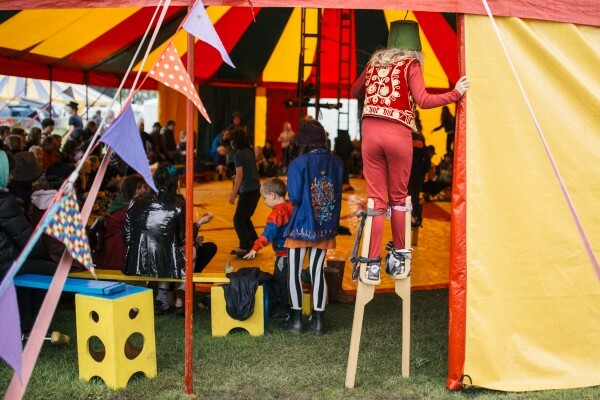 and is always busy with children enjoying stories, shows and having a go at perfecting their own circus skills, both inside and outside the venue. 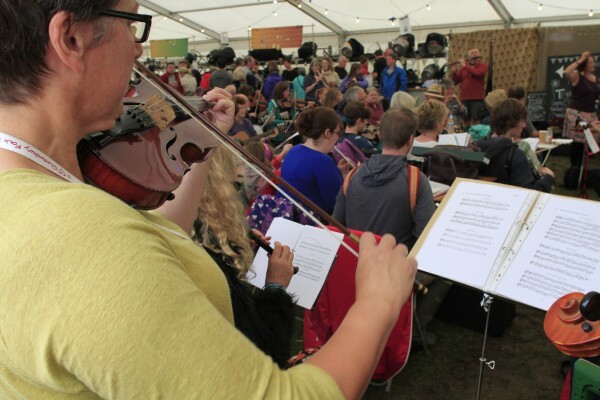 The multicoloured tent can be easily spotted in the craft village and offers parents a chance to kept their eye on their kids as they listen in to music from the nearby Village Stage. The Studio is our dedicated workshop venue. 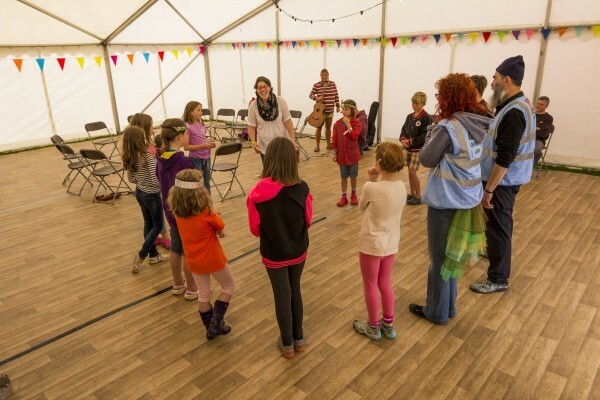 The 15m x 15m marquee is where you’ll be able to learn new skills or brush up on old ones. 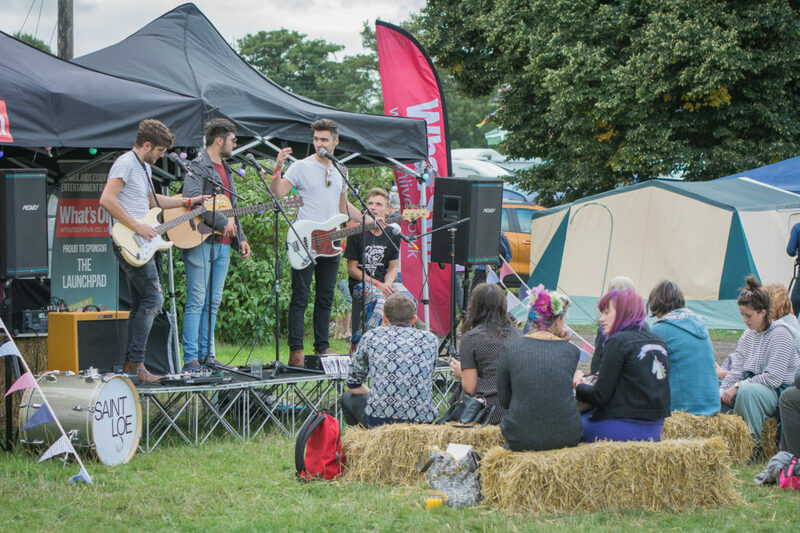 The Launchpad is our pop up venue that showcases some of the best young local performers. 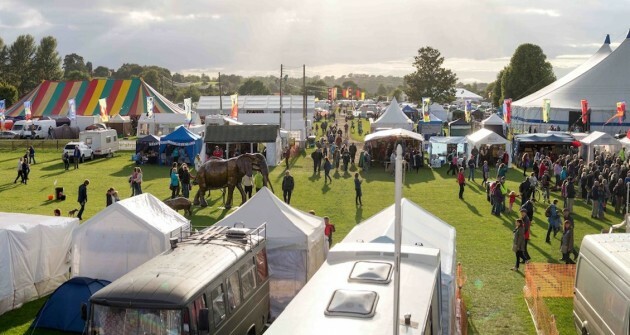 It will be located on the green outside the Berwick Pavilion this year. Go along and you might just get to spot a folk star of the future! The Hub is where you’ll find the open mic and occasional other workshops. As its name suggests, it’s in the centre of the site and used to be called the GKN Pavilion. There’s a fantastic view over the wider festival site from the upstairs balcony. 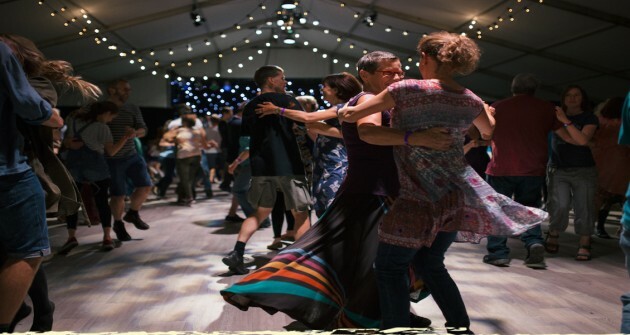 As well as being home to our excellent main bar and the scene of many a late night singalong, the Berwick Pavilion is the location for some of the programmed dance and music workshops. It’s also the informal gathering place for many different sessions and people have even been known to make beautiful music together in the spacious ladies’ powder room! 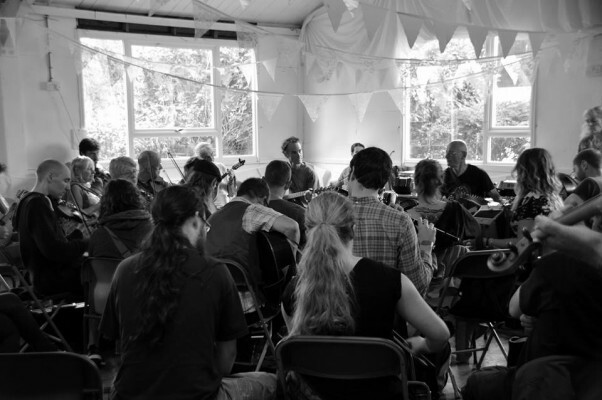 Ok, so not strictly a venue but we host several of the very popular Tuneworks workshops in here as it’s one place where you can seat a lot of people. And who’s to say you can’t have a drink while you practise? !